The 2010 President of the CIPR, Jay O'Connor, has awarded two honorary medals in recognition of outstanding contributions to PR to Shami Chakrabarti, director of Liberty, and Adrian Wheeler, partner at Agincourt Communications. 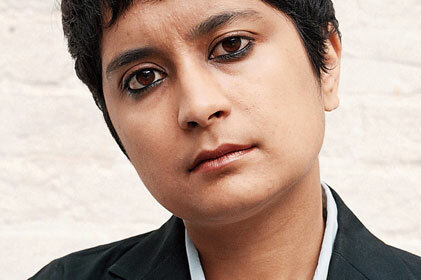 The winner of the President’s Medal for 2010 is Chakrabarti, director of Liberty. Founded in 1966, the award is made annually at the president's sole discretion for distinguished service to public relations and exemplary use of communications. Winner of the Sir Stephen Tallents Medal for 2010 is Wheeler, a CIPR fellow, chairman of the CIPR’s Professional Practices Committee and a partner at Agincourt Communications. Founded in 1984, this medal is awarded by the president in recognition of exceptional achievement in, and contribution to, the development of public relations practice by a CIPR member. Jay O’Connor, the 2010 CIPR president, said: 'It’s a real privilege to recognise the achievements and contributions of two outstanding individuals. Shami, together with her colleagues at Liberty, has campaigned tirelessly for individual human dignity, equal treatment and fairness - the foundations of a democratic society. Shami’s ability to engage, communicate and to campaign on behalf of all sections of society is a perfect example of how public relations can be a force for good.